One of Ilosaarirock’s most intriguing performers on Sunday was the long-awaited and fervently wished for Portishead, Bristol’s gift to the eccentric trip-hop scene, and a mysterious one at that. This reporter’s fervous background work was almost all for nought, as nothing sensible seemed to come up. If the excited buzz that surrounded Main Tent was to be trusted, I was ready to witness greatness. Portishead was founded by Beth Gibbons, Geoff Barrow ja Adrian Utley in 1991 in Bristol, UK. 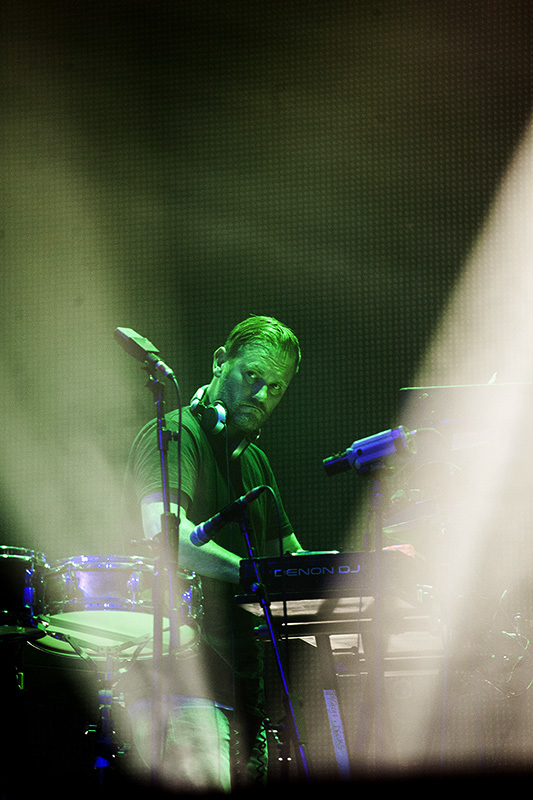 Whereas Massive Attack is considered to be the progenitor of the genre, Portishead’s debut “Dummy” (1994) was the first album to break trip-hop into the general consciousness. The dark and brooding rhythms paint a bleak, dismal scenery on the insides of the listener’s brain box; it was the 90s, the world was changing and the music with it. Ten minutes before the start of the show the Main Tent was already packed to the rafters. Beads of sweat glistened on foreheads as the summer day’s breathes out it’s last warmth before starting to fade away. Shift manager at the sardine canning factory would have been proud of the way people had learned to pack themselves and their gear into the limited space of the tent. The already anxious crowd starts applauding minutes before even the first chords hit the air. The sound starts to reverberate around me. My attention shifts to the differently-aged people in the audience. The youngest must have been born after Portishead started their career, and the oldest had already well passed the mid-century mark. My view is briefly obstructed by a red-headed girl, whose passing creates a space for a group of slender gentlemen. So it goes – and so it should. Then the long-awaited moment finally arrives, and the band appears on the stage. A strike of genious, and I craft the title of this gig report in my head: “P is for Portishead”. I reckon that if these people were asked, that is what would stand in the dictionaries and primers under P.
The audience lives with the band from the very start. 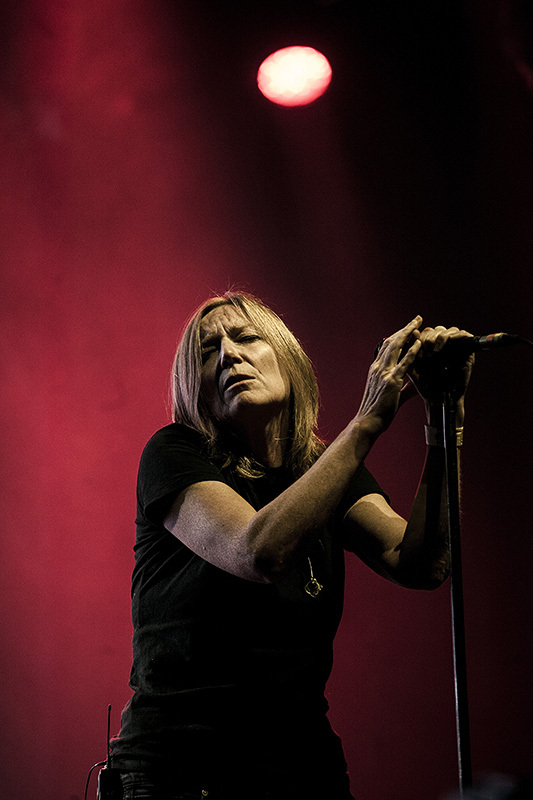 The visuals bordering on psychedelia and paranoia combined with the music invoke hypnotic experiences, and when I finally come to, I also realise that the vocalist Beth Gibbons looks just like an ordinary person would. No funny hats, no armour flashing in neon lights, not even the tinies fuzzy bunny ears. The black t-shirt and the jeans are almost bewilderingly everyday. Yet there’s nothing average or mundane about the about this show. - F***, I can’t bear this anymore! I take passing notice that my own hair is starting to stand on end. The beautiful The Rip, almost a ballad, sinks me deeper into the feeling that is part wistfulness, part anguish and part excitement. Every single song is full of emotion, gravelly monolithic sounds of rock and the cold, mechanic intelligence of electronica. If one could give voice to the most entropic, fraught and imaginative phantasmagoria of dreams, this would be it. The performance is well-thought-out. No one-liners between songs, no unnecessary choreography. Only the song, a blue light in between, and the next piece. Very much like macabre theatre, where it’s hard to decide if the show is pleasurable or extremely oppressive. At times, the people around me seem to move as slowly as the live footage of the band on the screens. Time and place lose all meaning as there is only the moment. The wild cheering and applauding bring the band back on stage for one last song. A tentful of booze scent, BO, cigarette smoke and the pure fragrance of rock’n'roll waft around as the people start jumping in the air around me. When the last notes of the very last song disappear into the night, the singer goes around the first row, hugging people. A nice gesture from the band. Hour and a half has gone by, as if by magic. My Portishead experience before the show was rather limited, which on the other hand is a good thing, sort of. 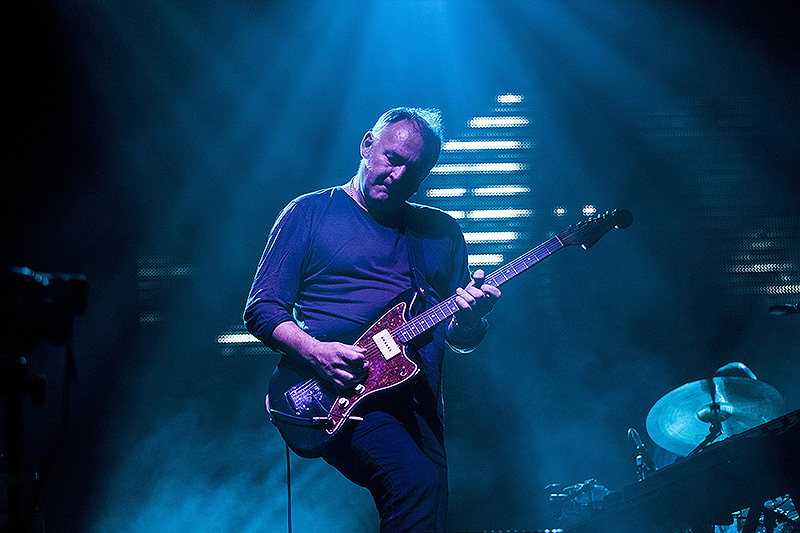 Because Portishead is a band which one needs to see and hear play on a big stage, with the impressive screen visuals and the heavy bass pounding every cell of one’s body with desolate pathos. 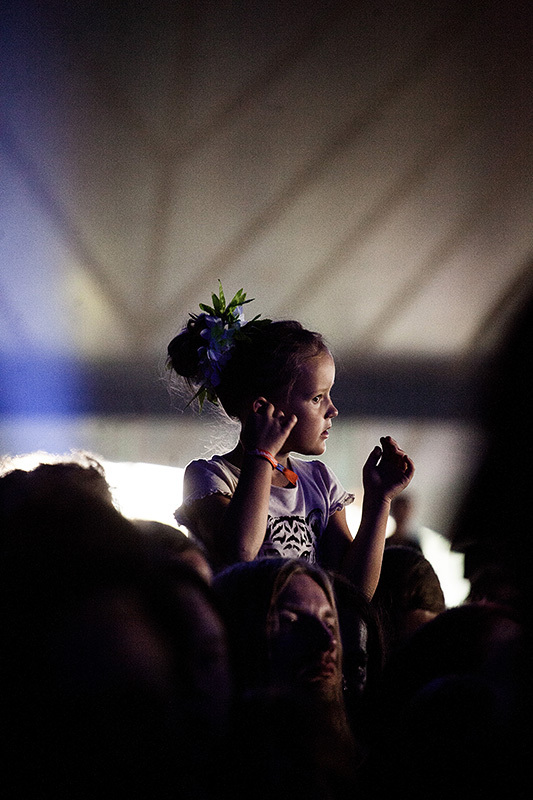 When music becomes such a comprehensive experience, even the big boys shed a small tear in secret. Thank you, Portishead. Please come again!